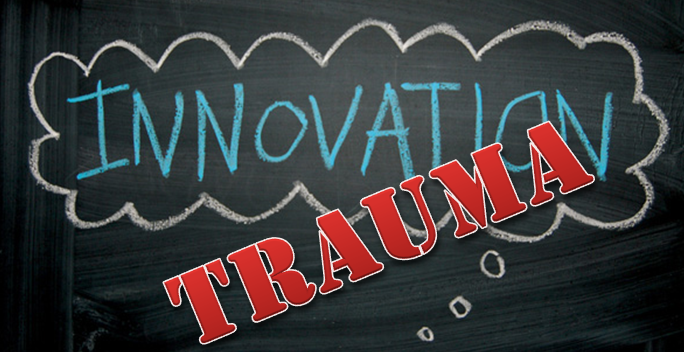 What is innovation trauma? Innovation trauma occurs when an organization attempts to do something innovative, but the unique idea or product fails. Employees begin to believe that they are not able to implement new ideas successfully, and that to find success, they must return to their standard way of doing business. The result is organizational stagnation and a general fear of trying new things. At the most basic level, it explains why organizations find themselves caught in a pattern of failure, even when nothing is wrong, per se, with the products they are using or producing. Arts organizations can learn a lot from their for-profit counterparts when it comes to breaking this cycle. One example is the Sun Ray Computer case. Sun Microsystems had a relatively large failure with their JavaStation network computer. The expectation was that the computer would dethrone Microsoft in the 1990s; instead, it sold miserably and ultimately, Sun Microsystems was forced to abandon the project, but not before this failure affected everything from marketing to morale. This failure was followed by a new computer, called Sun Ray, which should have taken the market by storm, but it under performed in sales due to innovation trauma. Sun Microsystems was unable to recover from its failure, and even more importantly, it was unable to learn from that failure, which ultimately stunted its growth. Most notably, innovation trauma is largely caused by a personal devastation brought on by unrealistic expectations; the idea that a new piece of software can solve all of the problems of an organization is an insurmountable task for any technology. When expectations aren’t met, it is easy to become traumatized by technology, because it didn’t work last time. Many CRM systems offer a wide variety of bells and whistles so it is tempting to believe that organizational issues will be resolved by switching to a new system. But selecting a CRM system is a significant decision, and if the organization is not aware of the potential implications of its decision, innovation trauma can start to form from the very beginning. This trauma is contagious and potentially continuous; staff members who were not around when the “failure” happened can feel the effects of trauma years later. Innovation trauma can be avoided, however, even if technological failure cannot. What an organization does with failure—not whether or not it experiences failure—determines its direction. Emerging trends show many organizations are failing to learn from their failures, perpetuating the cycle of trauma that happens when new technology is introduced. So now that we’ve completed the first step of understanding why the cycle of “innovation trauma” happens, we will continue to determine what can be done to break that cycle and, hopefully, end the technophobia associated with leveraging technology in arts organizations.